I don’t know how you could miss it but for any distracted souls out there who don’t know what Movember is – never fear, Uptodown is here. Movember is an annual event held in November when men finally get an excuse not to shave. Not that they need one in the heyday of the lumbersexual but hey, surely lots of non-hipsters might be encouraged to take the plunge. It’s a positive excuse organized to raise awareness about the most severe and common men’s health problems such as prostate and testicular cancer, male depression, and more. A nice way to raise funds to help with research on these illnesses. 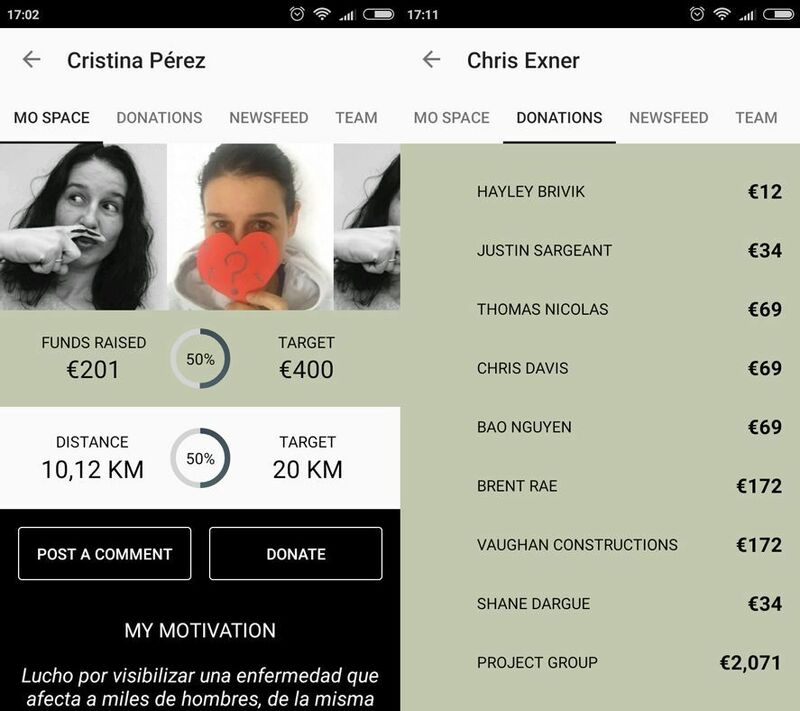 And now you can do your bit thanks to its official Android app. The story of Movember takes us back to Melbourne, Australia. In the year 2003 a group of friends decided to grow their mustaches to support a friend who was suffering from prostate cancer. This was the germ the sprouted the following year, when the Movember Foundation was created and began raising funds. And it’s gotten bigger and bigger over time: more than 20 countries, 542 million Euros raised, 1,200 health projects financed for men, and more than five million people involved. Nothing, really. The Android app is very complete and you can view all the same info as on the website in a faster, simpler way. Its somber look, in clear homage to the classic black mustache, makes browsing super functional. 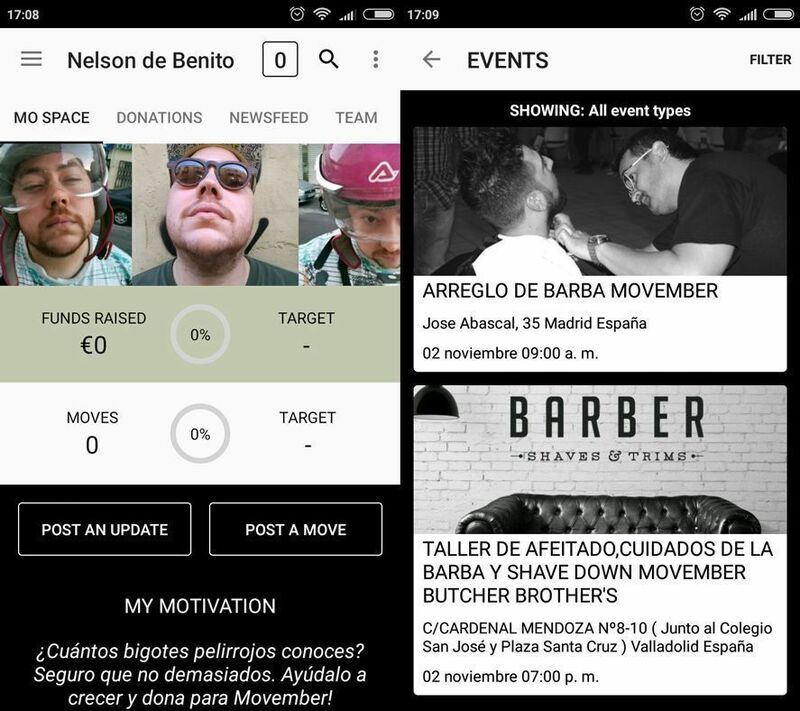 The app lets you do loads of things related to the Movember movement such as keeping your page updated with daily photos of your mustache, creating and participating in various Movember events in your area, and also keeping track of your physical activity, the best way to avoid the main health problems the initiative seeks to address. 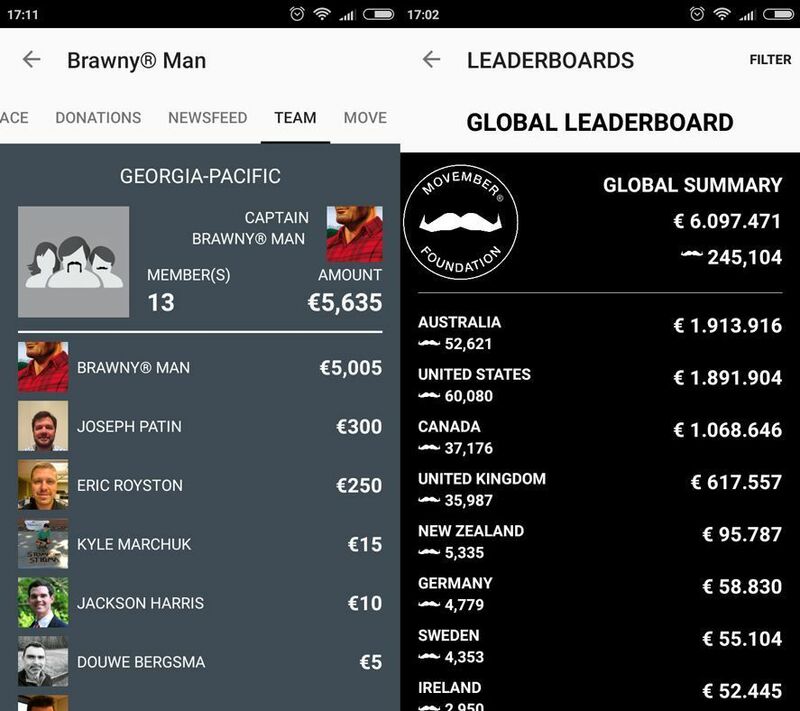 In addition, the Movember app also shows the different rankings for its participants: the so-called Mo Bros and Mo Sistas who raise dough on their own or in groups. And don’t be surprised to discover women in the Movember ranks as ever more are joining the movement and participating. Just take a look at the hashtag #movember2016 in Twitter or Instagram to see. One bad thing about the app is that you can’t directly register on it if you aren’t in an English-speaking country. This isn’t a crisis, in any case, as the app takes you to the NGO website so you can do it there. So there’s no excuse not to participate in a positive activity that incentivizes good vibes above all. And don’t fall off your chair if you see famous people participating as it’s common to come across them in the fundraiser leaderboards. If you’re still itching to lend a hand to Movember or just want to kill some time, Run Mo Run! is what you need. This game, created by the Movember NGO, serves to entertain you for a bit while helping the cause. Yep, even gaming is good for the mustache movement. 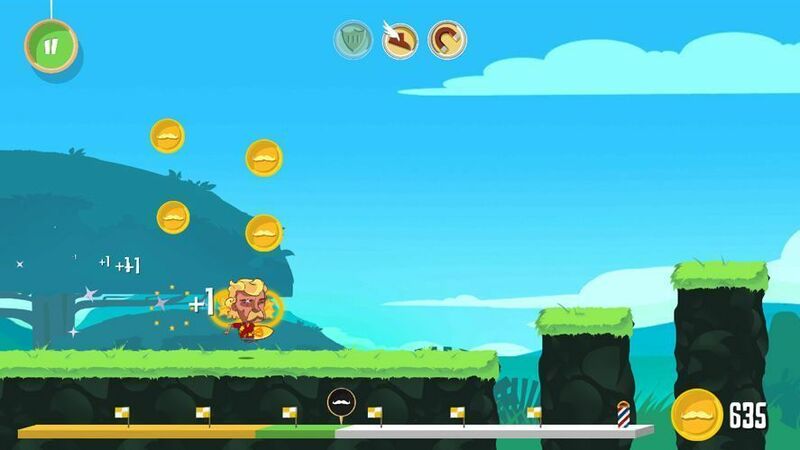 This 2D endless runner has you collecting coins and giving a good mustaching to everyone you find in your path. It’s pretty standard but entertaining at least. And you already know how the controls work: tap the screen and your mustachioed runner makes a jump. In Run Mo Run! you go around collecting coins to unlock upgrades to your characters. You can also pay real money if you want to not have to collect so many coins. And if you don’t want spend a cent you can speed up the process by viewing ads that also give you coins. The system is flexible and at least you know all this money goes to a good cause. And hey, the graphics are great, too. In short, participating in Movember is easier than ever. And you can do it in your own way: let your own mustache grow, be physically active, and do challenges to set the Movember example, and participate in the various events so you can show off what you’ve got beneath your nose. In my case it’s not much but it’s the thought that counts and that’s why Movember is so cool. You even contribute with a few rounds of Run Mo Run! You can’t say they haven’t made things easy for you this November. Don’t miss out!